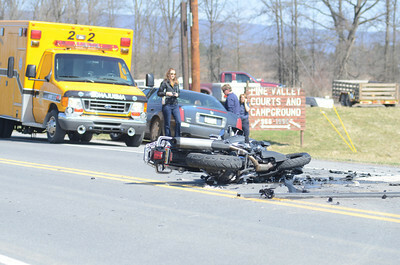 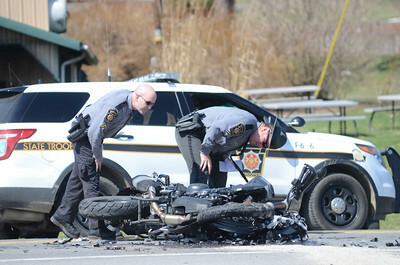 State Police officers look over a motorcycle accident that happened Thursday on Forrest Hill Road in front of the Green Ridge Market in Mifflinburg. 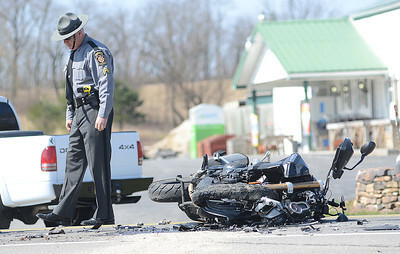 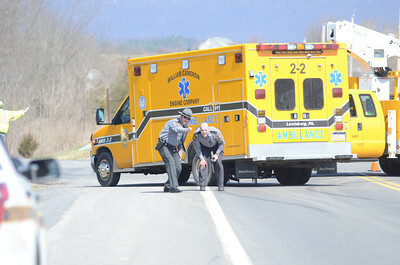 State Police and emergency personnel work the scene of a motorcycle accident Thursday on Forrest Hill Road in Front of Green Ridge Market in Mifflinburg. 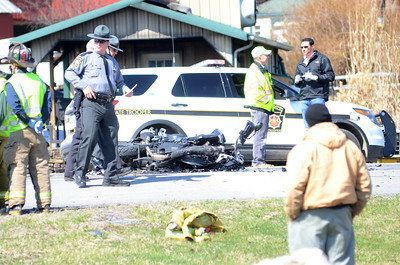 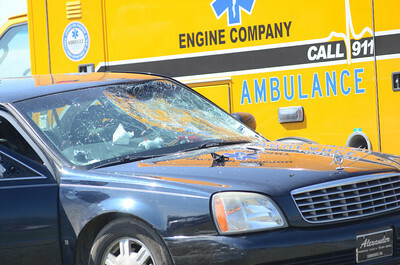 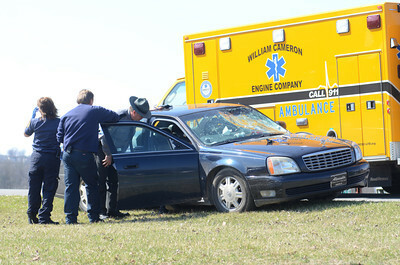 State Police and emergency personnel talk to a person inside a car involved in a accident with a motorcycle Thursday on Forrest Hill Road in front of Green Ridge Market in Mifflinburg.